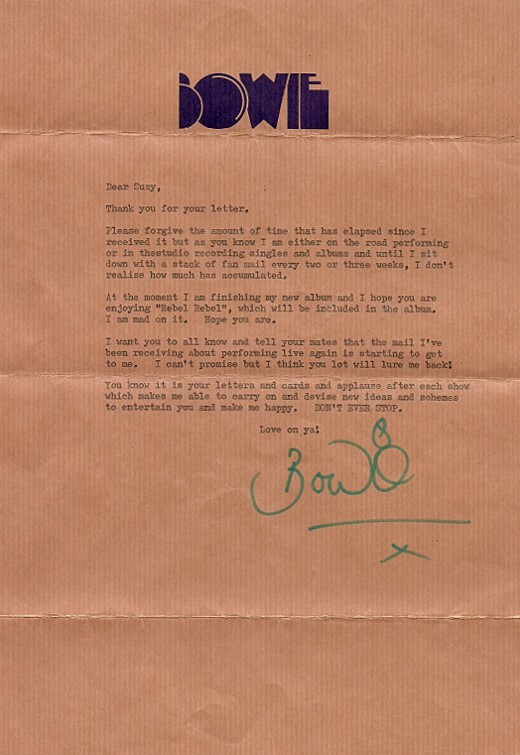 One of the most popular letters on Letters of Note is Bowie's charming reply to his "very first American fan letter" back in 1967, written excitedly when he was just 20 years old and yet to make his mark on the world, even typed on a sheet of his manager's stationery for lack of his own. Fast forward 7 years — to April of 1974, post-Ziggy — and it was a different story, as illustrated by the following letter of Bowie's, again in response to fan mail. He now had his own (brilliant) letterhead, and he was busy; so busy that he sent many similar form letters to other adoring followers. A month after sending this particular missive, Bowie moved from London to New York. Transcript follows. 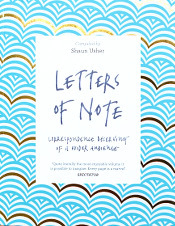 Image very kindly supplied by the lady to whom the letter was sent, Susie Maguire. Many thanks! Please forgive the amount of time that has elapsed since I received it but as you know I am either on the road performing or in the studio recording singles and albums until I sit down with a stack of fan mail every two or three weeks, I don't realise how much has accumulated. At the moment I am finishing me new album and I hope you are enjoying "Rebel Rebel", which will be included in the album. I am mad on it. Hope you are. I want you to all know and tell your mates that the mail I've been receiving about performing live again is starting to get to me. I can't promise but I think you lot will lure me back! 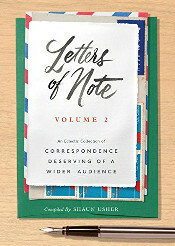 You know it is your letters and cards and applause after each show which makes me able to carry on and devise new ideas and schemes to entertain you and make me happy. DON'T EVER STOP.